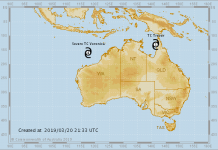 Tropical Storm Alberto has left a trail of deadly destruction across parts of the US with Virginia and North Carolina ravaged by landslides and floods and dams now perilously close to rupturing. Remnants of Alberto, the first named storm of the 2018 Atlantic hurricane season, are now pushing into Canada after heavy rains drenched the Southern Appalachians, claiming lives in raging flash floods, triggering mudslides and washing away bridges. Since its Memorial Day landfall in the Florida Panhandle, Alberto’s heavy rains have been widespread, with flooding reported from Alabama through Tennessee, Kentucky, the Carolinas, West Virginia and Illinois. 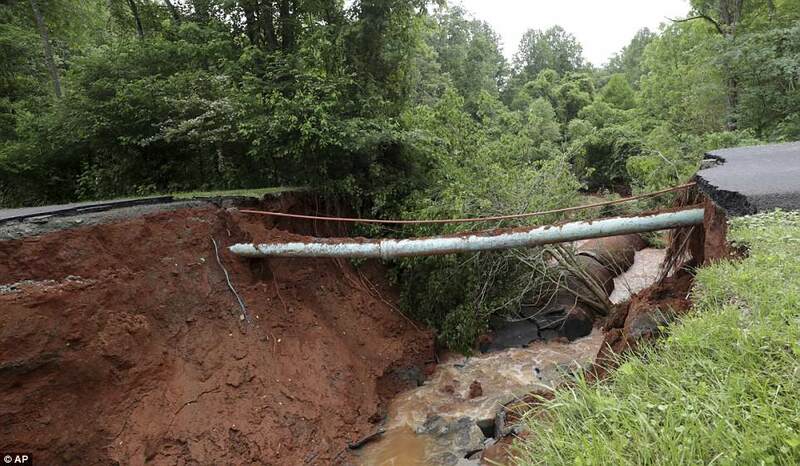 Pipes and wires were left exposed on a road in Charlottesville, Virginia on Thursday after heavy rains from Tropical Storm Alberto left a trail of destruction in its wake. 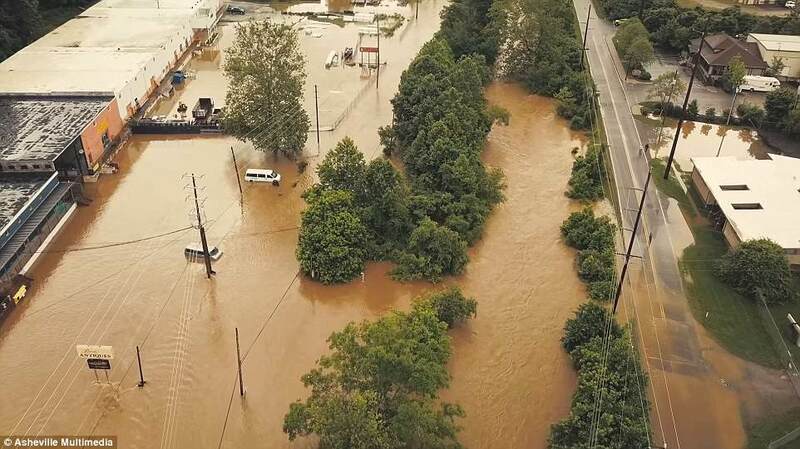 In Virginia, flash flooding blamed on Alberto turned a peaceful creek into a roaring death trap. 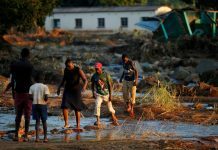 Tropical Storm Alberto has claimed lives in raging flash floods, triggered mudslides and washed away bridges. Since its Memorial Day landfall in the Florida Panhandle, Alberto’s heavy rains have been widespread. 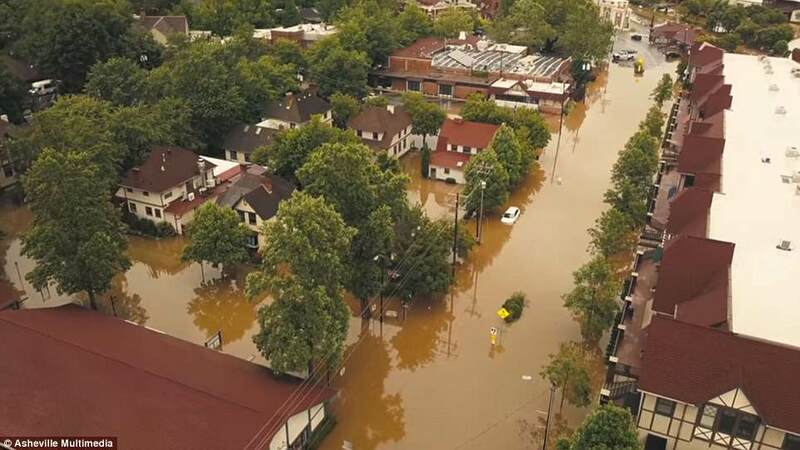 Flooding was reported from Alabama through Tennessee, Kentucky, the Carolinas, West Virginia and Illinois. 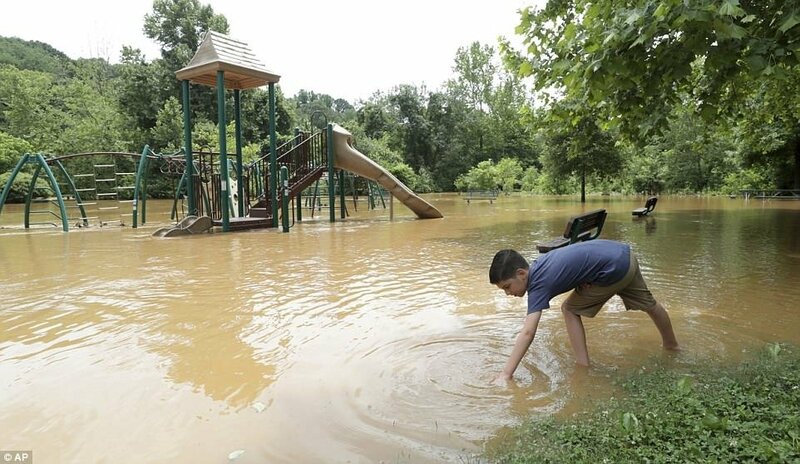 floodwaters that wreaked havoc near Charlottesville in Virginia. 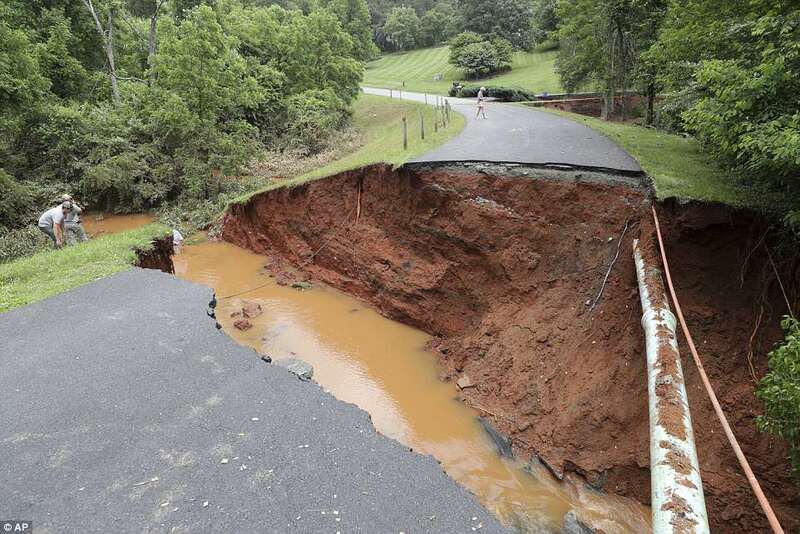 Numerous landslides cut up roads across States on the East coast of the USA. 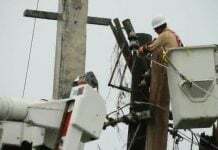 The Carolinas also were dealing with problems of their own from Alberto. In the North Carolina mountain town of Boone, one of those mudslides was blamed for a gas leak and explosion that destroyed a home Wednesday afternoon, killing two people. Two people died after a home collapsed in western North Carolina after a landslide triggered a gas explosion. 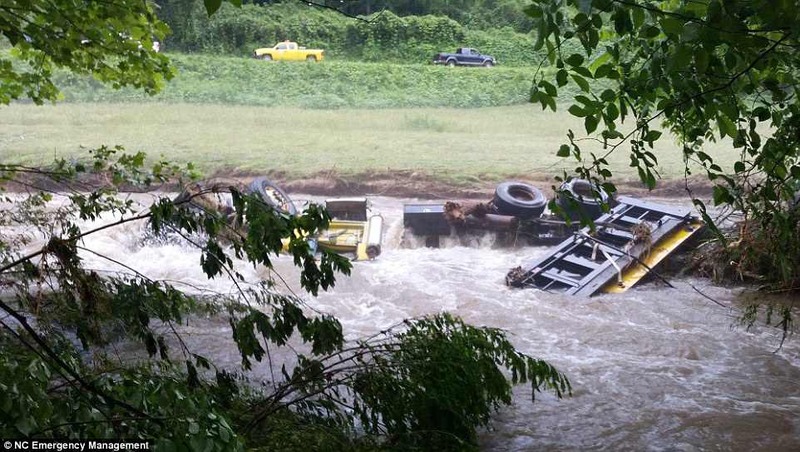 Floodwaters pushed a 33,000-pound North Carolina Department of Transport truck into the Catawba River. Four North Carolina dams being closely watched by a state team of special engineers were holding up, Gov. Roy Cooper said midweek. But Cooper went ahead and declared a state of emergency for his hard-hit mountain counties. A North Carolina dam that forced evacuations of more than 2,000 people after it was hit by a landslide is no longer in danger of collapsing. Cars and vans are almost totally submerged under the waters in Biltmore Village, Asheville, North Carolina. incredible aerial images show streets turned into rivers of muddy waters by Tropical Storm Alberto. Two TV reporters – Mike McCormick and photojournalist Aaron Smeltzer – died on Monday while on assignment in North Carolina covering the storm, when a tree uprooted from rain-soaked ground and toppled onto their SUV. Remnants of Alberto, the first named storm of the Atlantic hurricane season, are now pushing into Canada. Alberto passed Tuscumbia Al where I live. Around 2pm, it became quite windy and had lots of rain. But I did not see any major damage around here even though the eye of the storm was just above us. Yesterday’s thunder storm was more terrible in Alabama. A thousand of thunderbolts hit in Alabama according to Real-Time Lightning Map. Moody Air Force Base in Georgia was hit by thunderbolt. Right now, many lightnings are hitting around the base. I told you that lightning is not just lightning. These thunderbolts are Direct Energy Weapon of Galactic Federation of Light. The dam, which was almost collapsed and evacuation was ordered during Alberto, was located near Deep Underground Military and Alien Base in Pisgah National Forest in North Carolina. Mary Joyce will explain what is happening around that alien base. Right now, many thunderbolts are falling around Cherokee National Forest near Pisgah National Forest. Those 2 National Forests should have those Alien bases connected. That is why those National Forests are under attack from Galactic Federation of Light. I mentioned National Parks and National Forests are part of the Military and Alien underground bases. Ocala National Forest in Florida has a even Bombing Range in the middle of the National Forest. Recently, around Ocala, there are so many sinkholes formed by the result of the attacks from Galactic Federation of Light. Right now, Tallahassee Florida has been bombarded with many thunderbolts. The Governor in Florida is a reptilian, Rick Scott staying in the capitol city, Tallahassee, Florida. Do you know Montauk Project located on the tip of the Long Island, New York? I saw so many thunderbolt bombardment around Montauk. Now the bombardment has been stopped. I become very curious what happened around this area. Then I have found an interesting Youtube video that I want to share. Reptilian compound facilities including religious facilities and a mountain secret base (Their mountain secret base exist inside the hollowed mountain.) completely collapsed! I found the Youtube video showing the drone view before the collapse. So many people are disappearing from major national parks and UNESCO World Heritage Sites. They have been NEVER found. Some of their clothes were found neatly fold and left. Some of their shoes were left. Many places, where people have been missing, have granite mountains without very much vegetation. As I mentioned many times, national parks, national forests, state parks, county parks and UNESCO World Heritage Sites are the surface facilities of Reptilian secret underground (or mountain) bases. For missing person, police will not investigate because (Draconian) law says missing person is not the criminal matter. Of course, the real reason is police is notified that all the young missing persons have been caught by reptilians or reptilian entities as their food. National Park Service will not tell you the cases of missing hikers in their park, but of course, they know what’s really going on in their national parks. This video explain the common place where many people have been missing are granite mountains without very much vegetation. When I went to Arabia Mountain where was completely granite mountain, suddenly thunder came, and I witnessed that a young guy with a gun hit by lightning in front of my eyes. I am sure that his young guy came out of the secret underground base under Arabia Mountain. They have the base under the hollowed granite Arabia Mountain. So whenever you see a granite mountain, you can think that the mountain is hollowed, and there is a reptilian secret underground base in it.